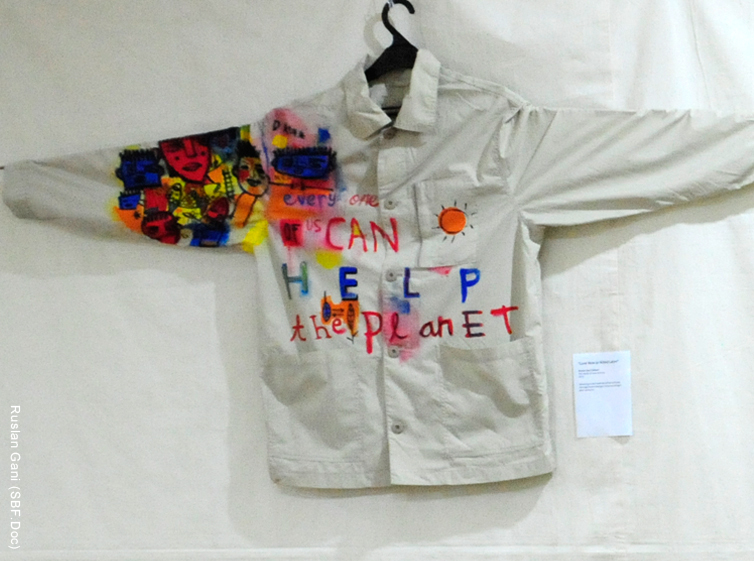 [Jakarta, LTTW] Every country may wish that all elements that support its economy and identity can survive and flourish. 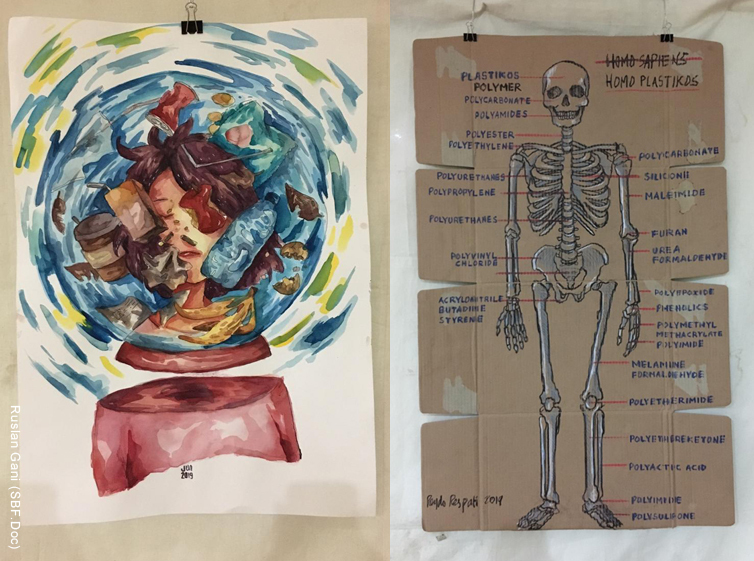 One of the elements is art. Recently, there was a heated discussion in Indonesia concerning the Bill of Music. 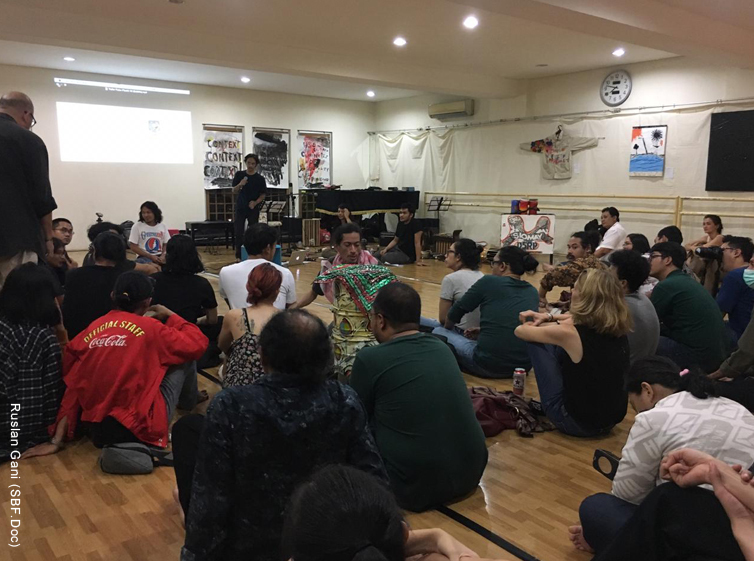 The bill was initially expected to encourage music development in Indonesia, but as it turned out, it received strong criticism because of its controversial stipulations. Eventually, through much deliberation, the bill was rejected. The lesson learnt is that, before we draft any bills, we have to first identify the problems we are facing: where we are standing, where we are going, and how far we want to go. 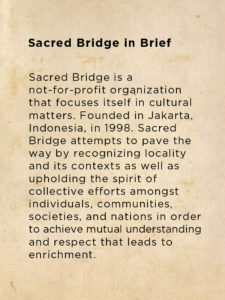 In light of this case, Listen to the World decided to republish an old article written by one of Sacred Bridge founders, Serrano Sianturi (1960-2019) that may help identify the problems in the music sphere while trying to give some answers. We hope this article could give you something to mull over. This article was originaly published at TAPIAN magazine, July 2008. Potential wise, Indonesia should have played an important role in the world, not only as one of the authorities, but also as a source of inspiration that give colours to music development. 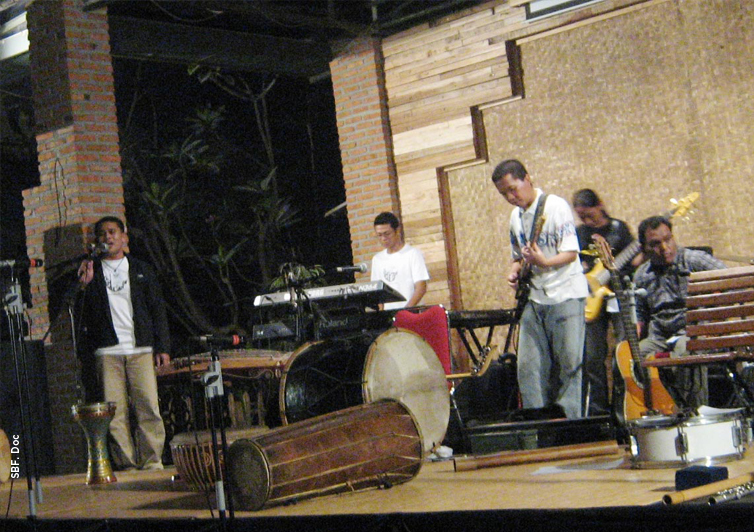 Indonesian music influence, particularly Gamelan, in the development of Western music should not be taken for granted. Great western composers such as Debussy, Ravel, Xenakis, John Cage, Steve Reich, and today’s reknown America’s classical guitarist Bill Kanengiser are all mesmerized by Gamelan, which we can hear in some of their works. Ironically, that influence is actually more of the Western world recognition and appreciation to; it did not emanate from our own efforts. 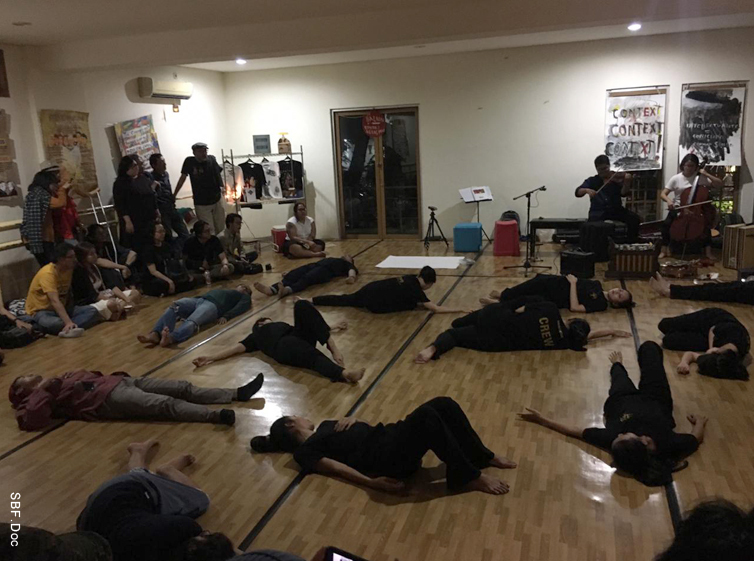 If Gamelan alone has already given big enough contribution, it is easy to imagine how massive Indonesia’s influence would be if other types of music were given a chance to make their voice heard. We have tremendous potentials, and we should be proud of it. However, all these treasured potentials have yet to materialize into something real. Indeed, music in Indonesia faces many issues; but that’s not the main problem here. It is more about how we see, understand, and respond to it. Music: a cultural expression or an economic commodity? Culture, as we all know, contains an economical aspect and it works both ways. So, it is only natural if music has dual positions: as a cultural manifestation and an economic commodity. Therefore, commoditizing music is not always a bad thing as long as it is put in a proper context and proportion – two things that are commonly ignored by Indonesian music ‘industry’ actors. The motivation behind the music creation, for instance, can be said is completely economic-motivated (to be precise: commercial). In fact, when we look into the history of most music genres, including the mainstream ones, the motivation of creation had never been an economic one. Take Blues for example. This genre was created from black people in the US as a response to slavery. The same goes with Ska and Reggae from Jamaica, which is a response to the long-awaited freedom, and therefore serves as a symbol of optimism and pride of the people. Rock music was born as a critique to the Vietnam War and to demand for equality for black people in the US. Another genre called Punk Rock is a manifestation of young people towards the ‘Rock’ movement that was deemed to betray its initial goal due to commercialization. Finally, in the late 70s, the poor black people in urban areas (especially in New York) in the US ‘fought’ against the war between their own people that was motivated by illegal activities such such drug dealing and prostitution. This effort gave birth to Rap and Hip Hop, which turned physical fight into an ‘art fight’. In conclusion, music that is born as a response to a social condition is not merely a cultural expression; it is also a movement. With a non-commercial background, those genres managed to take a strong position in the world of music. Why? From the economic point of view, the answer is simple: music that is born within a context (cultural, historical, and social) at least has two aspects that are important from the economic perspective. First, these genres have a defining characteristic, because the context in one region is different from one another. In the theory and practice of marketing point of view, this defining characteristic is called product differentiation and is believed to have a high selling point and competitiveness. Second, music genres that are born from a response to a condition represent an expression that not only does it relate, but can also be enjoyed by the people. And as been said before, in this case music serves as a movement. Therefore, it is only logical if it has followers or fans. Follower is called a ‘served audience’ or the market, as known in Indonesia. With this audience basis, this industry would expand its targets to other regions. Hence, the market ‘creators’ or ‘owners’ is not the industry, but the musicians. Industry simply takes an advantage of and expand it. One question that we can draw from this elaboration: is it possible for an economy-driven music to build its segmentation permanently as well as having a high economic value? 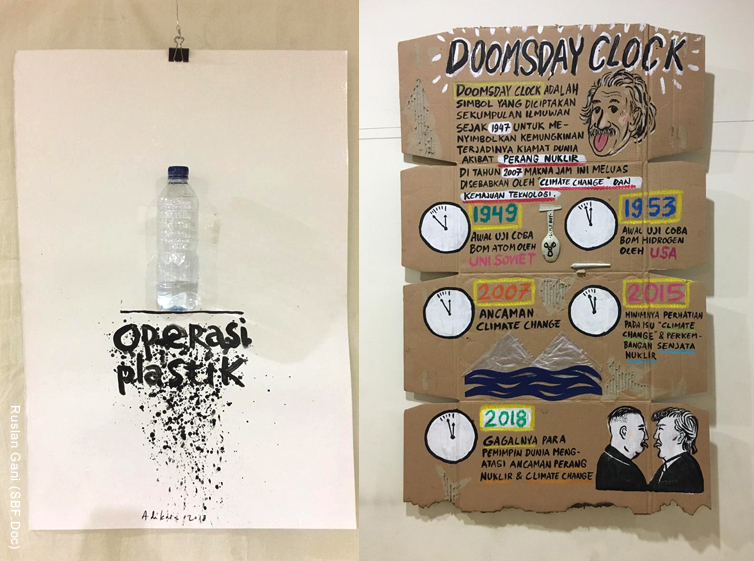 Indonesian mainstream music genres (pop, rock, jazz, etc) were not born out of a response to those conditions, hence it does not possess the same context. 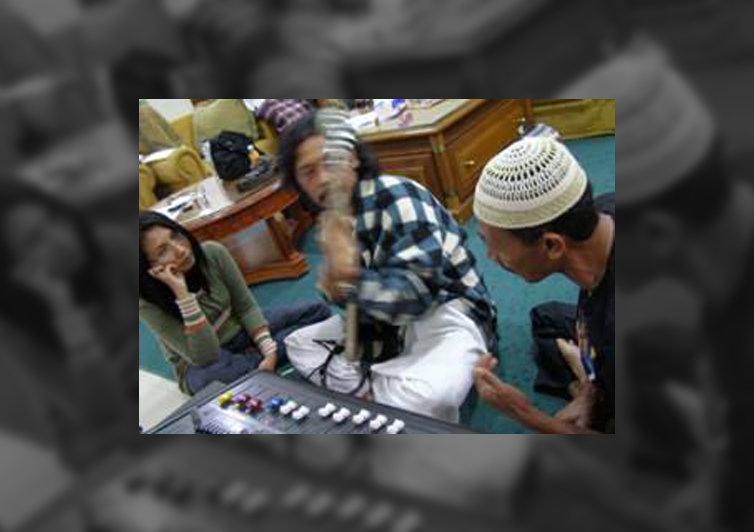 Indonesian mainstream music is only a ‘reproduction’ of other peoples’ creations, and is not based on a good grip of the context and the experiences that motivates the birth of those genres. The style and structure replicate the original ones, but in general it does not have the same ‘sound’. Moreover, Indonesian mainstream music is not a musical reinterpretation that makes use its own rich, authentic traditional music. 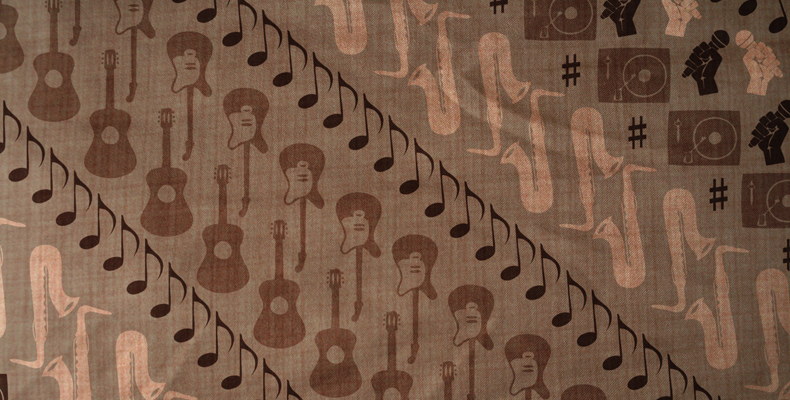 So, aware or not, Indonesian mainstream music does not have a defining identity. Meanwhile, Indonesian traditional music that are clearly rich and possess a strong identity has yet to attain a real power, within or outside Indonesia. It should be noted that there is nothing with playing music from another country. In fact, it is a common practice in every country. What we need to consider is that if we simply reproduce it, then we are losing our competitiveness at international level. Japan, for instance, music that is labeled J-Pop (Japanese Pop) dominates the local market. Even though it has ‘Japanese’ on its label, its musical structure is not based Japanese traditional music even one bit. Its ‘Japaneseness’ can only be found in the lyrics and the musicians. Once the lyrics and the musicians are replaced, one will only hear western pop music. In Indonesia, this labeling is not limited to music pop only, but to almost all genres even though the locality is only found in the lyrics and the musicians. 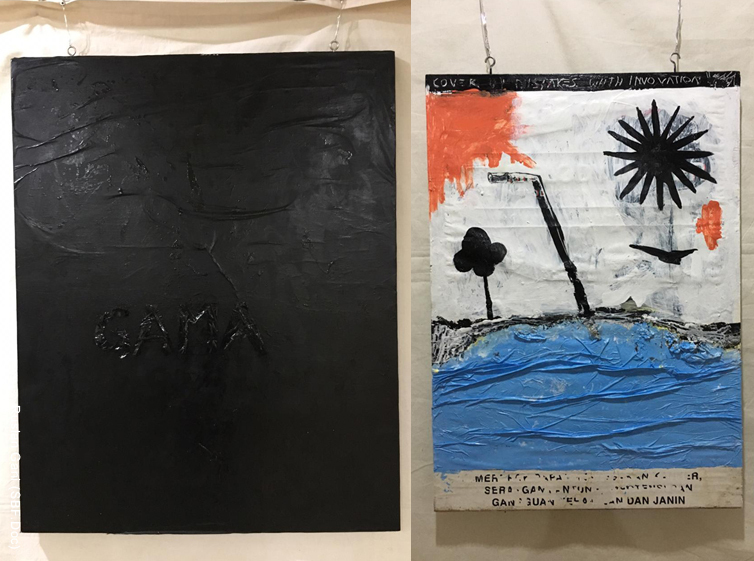 The difference between these two countries are Japanese musicians are fully aware that their J-Pop will not earn its place in an international stage, while Indonesian musicians seem to think that they can go global by playing that kind of music. Indonesians should be mindful in putting ‘Indonesian’ label on western-based music such as Indonesian Country, Indonesian Jazz, or Indonesian Rock because that means they are claiming an identity over the music they play. If they want to label it as such, that claim should at least have a strong base: that the music has some local aspects in it. In the international level, such claim is not made casually. Musicians in the US, Japan (except those who specialize in J-Pop) and other European countries never label their music as American Flamenco, Japanese Rock, European Blues, British Jazz, or French Rap, even though there a lot of musicians who play those genres beautifully. They realize that it takes a strong, solid foundation to make such identity claim. South America musicians, on the other hand, confidently claim their Latino identity for the music that is not originated from their region. However, this is a different case. Those musicians earn such label because they manage to interpret those mainstream genres by employing their own musical idioms. Musicians such as Tito Puente, Chucho Valdes, Milton Nascimento and Gloria Estefan are among those who managed to claim this identity. Labeling Jazz, Flamenco, or Pop with Latino label is not done without basis. Moreover, the music they created manages to give a counter-influence to the original ones. If we look into the movement of the world of music, it is clear that the musicians from the regions into which the music genres were born are still dominating the market segments. Classical music is still dominated by European musicians (and the US); Blues, Country, Jazz, R&B, Rap and Hip Hop are dominated by the US; Rock by the US and Great Britain; Reggae by Jamaica, Flamenco by Spain, etc. In classical music realm, for instance, from thousands of musicians that scattered in the whole world, only very few ‘foreign’ names that made it. Alberto Ginastera, Toru Takemitsu, Seiji Ozawa, Leo Brouwer, Yo Yo Ma, and Tan Dun are among the successful few. In other words, Indonesian music actors should start to realize how difficult it is to earn recognition in a musical territory that is not part of their context and cultural identity. Indeed, there are some individual success, but to achieve it as a collective effort is almost impossible. In the beginning of the 80s, musicians who exploit their own cultural locality began to find their place outside their territory due to market demand. In turned out, this type of music have been growing in many parts of the world. This trend was picked up by record and distribution companies, both mainstream and independent companies, which eventually accommodated this new development. Since this type of music does not fit into the existing categories, this genre is classified as World Music, which marked the beginning of a ‘new’ segment. Apart from whether or not World Music is the proper term, this category is basically divided into two groups: Authentic and Fusional. Authentic is a group of music that is played without blending it with any other type of music outside its territory. 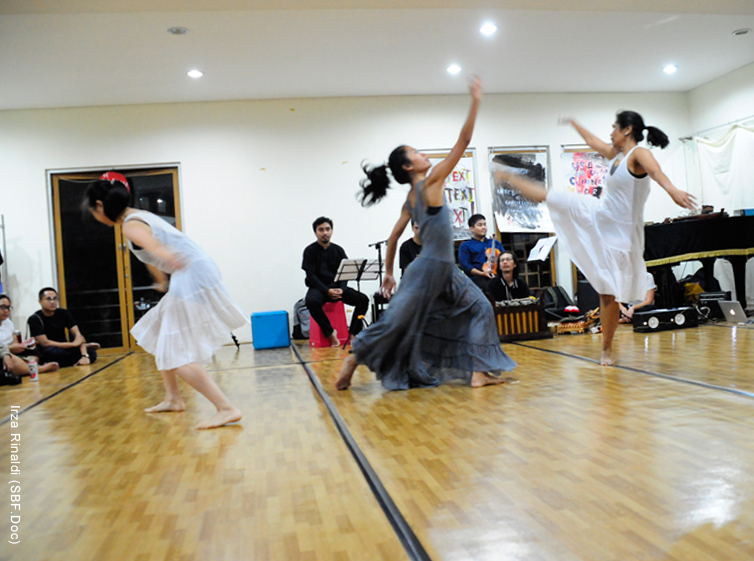 Fusion has two approaches: the first is a Crossover that combines traditional music with a western music, and the second is called Hybrid, which combines two or more traditional music. The growth of the World Music market is quite astonishing. At the end of the 90s, it gained 5% of the music market, and as of 2007, according the writer, the market has gone up to 9% and is still growing. Now, compare it with Classical and Jazz music, which ‘only’ gain 5% of the market combined. It is important to note that these two types of music have been in the music industry for more than 75 years, while World Music is ‘only’ 20 years. Through this segment, musicians with traditional music background penetrate the world and ‘compete’ with those who play in the mainstream segment; among the musicians that managed to transform themselves into the world icons are the late Ali Farka Toure, Buena Vista Social Club, Gypsy King, Kodo, Nana Vasconcelos, the late Nusrat Fateh Ali Khan, and Youssou ‘N’ Dour. If we look into their profile and journey, the motivation of these musicians in choosing their music is not about money. They have profound respect to and master the music they play, and believe in their roots. Their journey before fame had been long and exhausting. Only those with immense dedication and pride of their identity that have this kind of endurance. Besides inspiring and enriching world culture, the music they play has also become an inspiration for established musicians from different genres. In Classical music, one can see big names such as Joshua Bell, Kronos Quartet, Yo Yo Ma; from Jazz there are Billy Cobham, Joe Zawinul, Trilok Gurtu; in Blues we have Ry Cooder, Taj Mahal, and in Rock we have Bill Bruford, Ian Anderson, Mickey Hart, Peter Gabriel, Robert Plant, Steve Hillage, Sting, etc. Perhaps Indonesian musicians, be it in the mainstream or traditional territory, should dig, appreciate, and master their own locality, and then explore further with pride. Perhaps they should realize that going global is more possible to achieve by being local. All music genres in the industry managed to find their firm footing because they accentuate their locality. Europe is proud of its Classical, Celtic, and Flamenco, the US with its Blues, Country, Jazz, and Rap, Central and South America with Steel Pan, Reggae, Samba, and Pan Pipe. So, one question we should answer before we compete at global level is: how big is the chance for Indonesia to go global by taking other country’s locality? Another problem that looms in Indonesian music industry is the stagnant transmission, be it across genre or generation. Western-based mainstream genres and traditional music do not ‘talk’ to each other. There has never been a fulfilling musical dialogue between the two. All the dialogues that have been conducted are mostly among musicians, not among music. Moreover, these dialogues mostly resulted in sensations and are artificial. Only very few attempts that succeeded in making a real, meaningful musical dialogue. 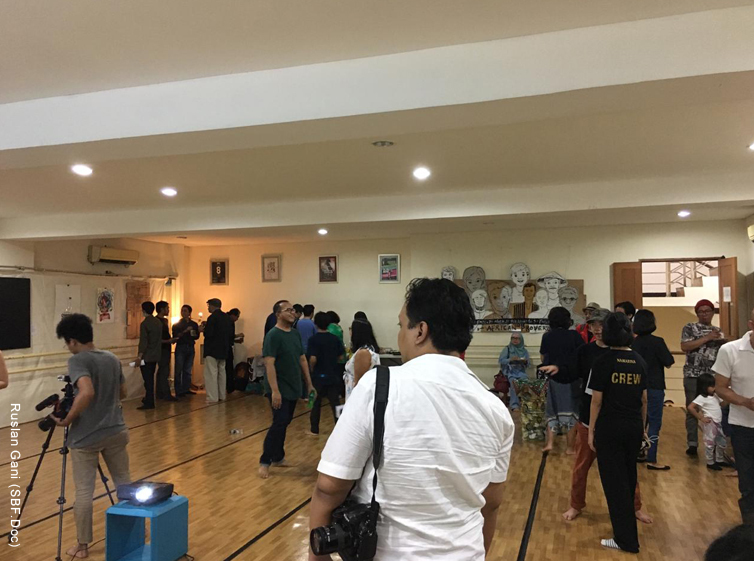 As the result, western-based music never has its Indonesian taste, while traditional music failed in learning from western music to build itself. There are many factors that hinder this transmission. 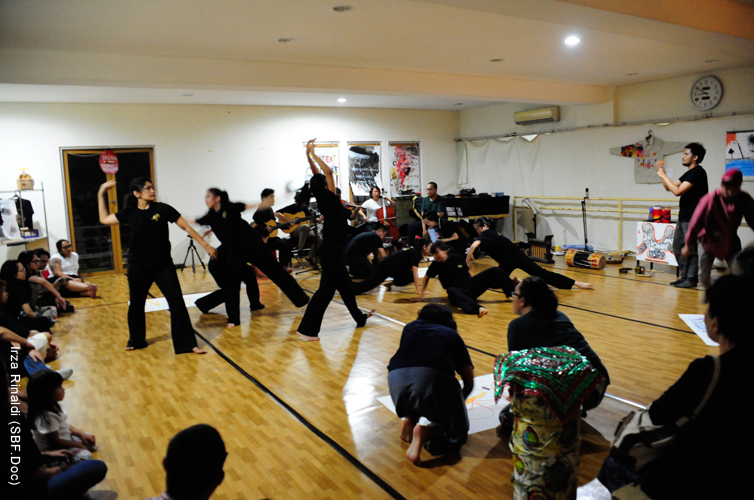 First, only very few actors in Indonesia’s music world (including teachers) that have a good grasp on western music. Most actors only partially understand or master the music. Some of them promote themselves as composers, but they don’t really understand composition and structure. Some of them may have a good mastery, but don’t understand the context of the music. There are also who put themselves as musicians, but their technicality is subpar; there are those who have proper technicality, but they don’t know anything about music theory. So, it is rather difficult to find a well rounded western music actors in Indonesia. Besides half-baked mastery, most of the music actors are not familiar with traditional music, which is practically their own cultural root. There is a sense that they don’t need to learn it. Some notable musicians even shamelessly admitted in the media that they didn’t know that Indonesian traditional music has the element of polyrhythm, interlocking rhythm, and improvisation. On the other hand, most traditional music actors view progress as ‘desecrating’ originality. 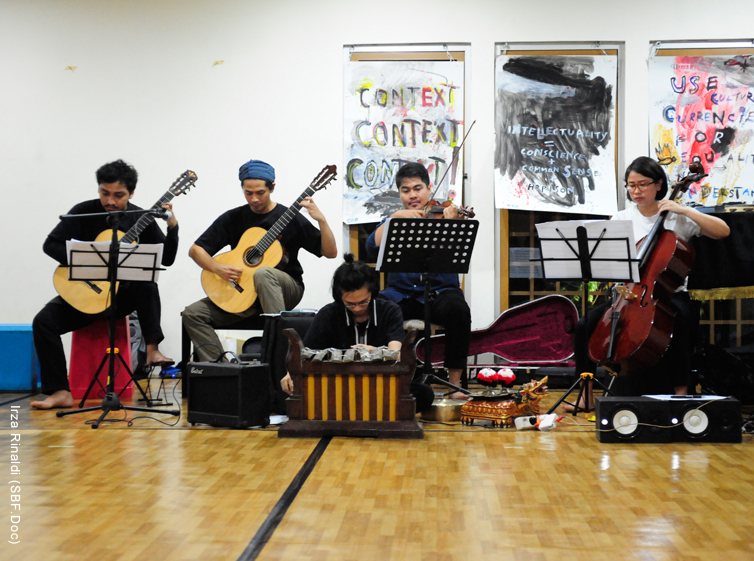 So, it is no surprise to see progressive traditional musicians be not given a space in their environment. 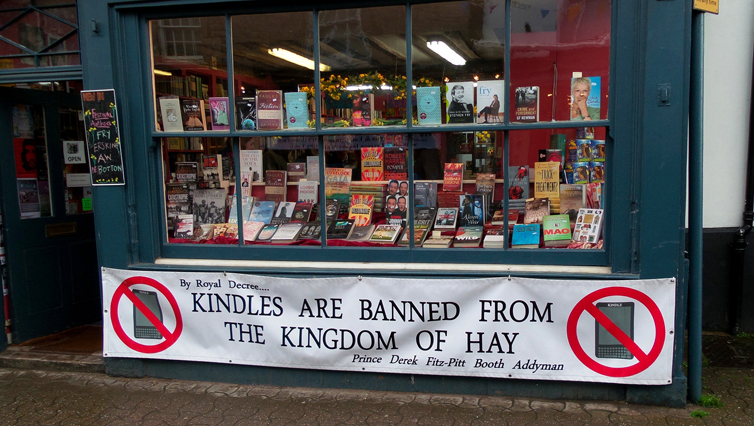 Some of them are even shunned. Authenticity is indeed important, but creativity and context should also be given a chance to take part. The journey of Classical music is an example of how authenticity, creativity, and context can walk hand in hand. Its many eras, starting from Gregorian, Renaissance, Baroque, Classical, Romantic, to Modern, is proof of its progress. As the progress continuous, the music style of every era is still very much alive. 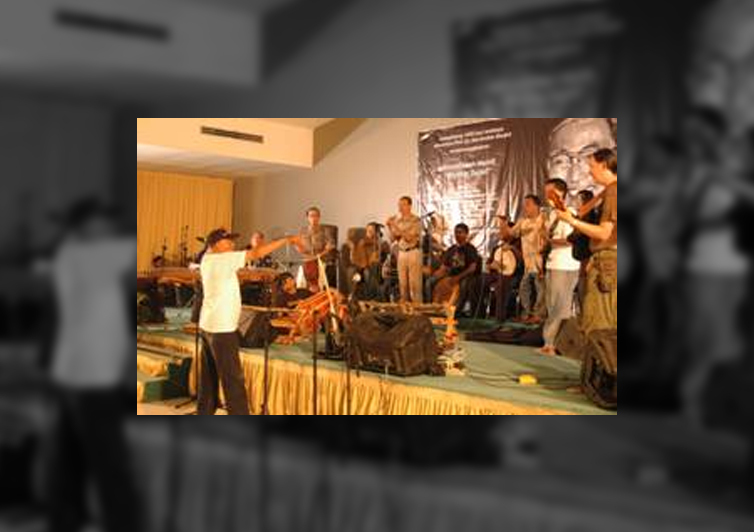 Composer/musician I Wayan Sadra is leading musicians from different genres and generations in a concert. The same goes happen to Jazz, which moves from Ragtime, Symphonic Jazz, Swing Be Bop, Free Jazz, to Fusion, can keep its authenticity while keep on making new developments that responds to the context of the era. It is this ability that must be achieved by Indonesian traditional music actors. Another issue that can be discussed is that it is uncommon to see traditional music musicians who feel inferior when they interact with their counterparts who specialize in Western music. From their utterances, the writer has sensed that they are way below in terms of popularity, social status, income, and prestige. Whereas, interactions in the world of music should not be tainted with such things; we should maintain our ethics, share our knowledge and musical mastery. Take a look at the Beatles. They were honored to have a chance to learn with Ravi Shankar; John McLaughlin felt lucky to able to play together with Nana Vasconcelos, Paco De Lucia, Vikku Vinayakram, and Zakir Hussein; and then there’s Ry Cooder, who felt ecstatic when he had a session with the late Ali Farka Toure. This respect and pride are bestowed by the giants of the world of music to traditional music musicians who are clearly ‘subordinate’ in terms of popularity and income. So, it is time for traditional music actors to cast away their inferiority and begin to build a sense of pride of their roots. Another problem that must be highlighted is the relationship between the seniors and the juniors which, to my mind, is more hierarchical in nature instead of inspirational. It means, the seniors act more as authoritative figures rather than the source of inspiration. The seniors’ subjectivity is viewed as the fixed standards on to which the juniors hold. And most seniors seem to enjoy this condition and they don’t do anything about it. As the consequence, the juniors have turned into their seniors’ clones. An inspirational relationship should put the seniors’ subjectivity as the source of inspiration. In this way, the juniors will have ample space to explore and find their own signatures. Unfortunately, this kind of relationship is quite rare. Building the music industry in Indonesia is not an easy task; it takes active roles from every element involved. These roles should also have a solid structure: each element should understand its roles and they interact with one another. Obviously, all elements must hold on to the ethics: they have to adhere to the consensus and the agreed rules. I personally think that all of these things are still unclear. Through chats, discussions, and interviews, I concluded that there are a lot of actors in music industry who still don’t comprehend how supply and demand works. It is no wonder if they neither know their position in the chain, nor how are they supposed to interact. Not to mention the ethics problem, where they seem to set their own standards. The illustration below describes the basic structure and elements of the supply-demand chain. This chart is relatively simple because it doesn’t depict the interrelation between so many elements. If this were described, it might look ‘complicated’. 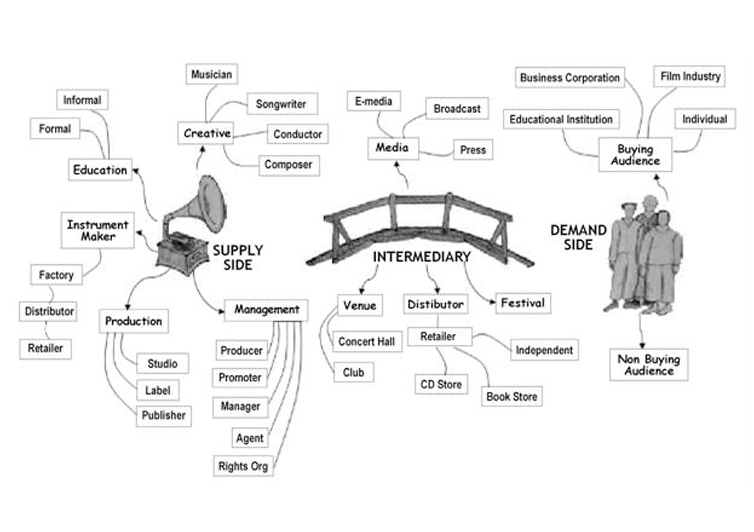 This chart shows that the supply-demand chain in the music industry consists of three interconnected parts: supply, intermediary, and demand. Each of which has its own functions and elements. Each part also serves as a market where the selling-buying mechanism runs based on the price agreement (read: value) on a product or a service. On the supply part, for instance, transactions between elements must occur. 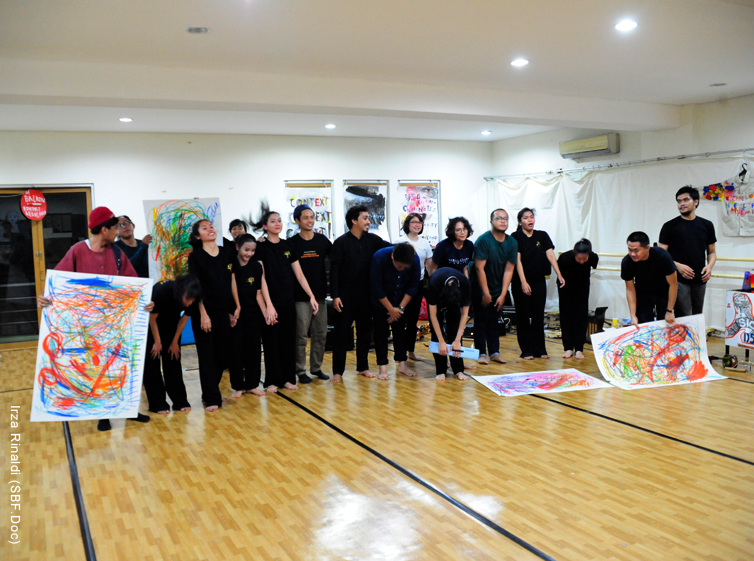 Education element, for instance, requires Creative element to serve as teachers, while Creative element requires students to support its music groups. The same goes with Creative element with Instruments providers. The whole elements in this structure, together with the consensus and the rules, are called market. So, market is not merely people who buy CDs or concert tickets. Since none of the element is aware of its position, functions, roles, and interrelation within the chain, every one of them acts as an independent entity that is correlated one another. As the results, the output is nowhere near optimal. Let’s take a look at the venues. Almost all of them ‘serve’ the same segment, be it the musicians or the audience. Bars, cafés, or clubs that have live music only present the Top 40 or music created by legendary musicians from outside the country. Meanwhile, theaters – due to high maintenance cost – can only be accessed by those with strong finances. This condition is very discouraging for budding musicians who actually process creativity and originality. Even if such musicians would eventually found a stage, their potentials might not be shown since they would only do cover songs or are not able to finance their performance. Creative and original works are the juice of the music genre and they are crucial for recording companies whose lives depend on such fresh music. In music industry, venues play a strategic part because they serve as a map that shows the size of potentials and segmentation, be it in terms of the popularity of the musicians or the genre. Therefore, in developed countries, venues determine the positioning and served audience. There are venues that specialize in a world renown musicians, some give space to local musicians, and some concentrate on promising, budding musicians. Venues also decide the main genre of the house – Jazz, Classical, Pop, Rock, etc. Some legendary venues such as New York’s CGBG or London’s Marquee are some of the venues that have strong position as the indicator for a rock band whether or not it is going to be big. In an established industry, venues do not only consist of bars, cafés, clubs, or concert halls. Public places such as food stalls, subway stations, and public parks also act as a venue. All these places serves as a contestation arena for musicians as well as an indicator for recording companies to work on new materials or expand its market. The interrelation as mentioned above is only one example that depicts the interconnection between one element with the other. The functions and roles of each element within the chain should be woven together by all parties involved. All efforts to develop music sector will be rendered useless if it is done partially. Growing the Supply side only without structuring Intermediary will not create significant influence, and vice versa. Structuring should be started by building a miniature of chains in the form of small lines or axis that involve all sides. That way, the structure within the chain can be developed gradually and will be integrated with the responsible and functions of the elements involved. And here’s the million-dollar question: does each element share the willingness to build a healthy music industry? Or will they continue to keep being selfish, only think about their own interest, even though it won’t help them grow in the long run? 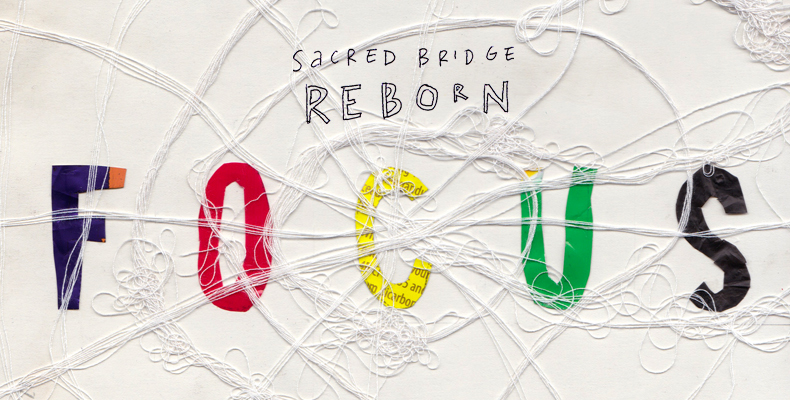 One of the program units of Sacred Bridge, Rhythm Salad, is an example of miniature music industry where every elements in it interconnect. Market, in Demand side, consists of different segmentation, and one of the things that it sees is music category. Basically, industry divides it into two categories: Serious music and Pop music. Serious music comprises of Classical (to Contemporary) and some of Jazz music, such as Free Jazz. Pop music consists of Blues, Country, Hip Hop, some Jazz music, R&B, Rap, Reggae, Rock ‘n’ Roll, and Rock. This category now has a longer list with the arrival of World Music (as mentioned above) and followed with a new category labeled as New Age. Just like World Music, New Age is not a genre. This term is adopted by the industry to cater the type of music created by musicians who took up spiritualism and healing in their works in the 50s. However, once it was adopted, the pioneers of this music dropped the term and changed it to Meditative Music because the industry defined the category simply as music that sounds ‘beautiful’ to ears. Every segment has its own market target and the size varies. Serious music obviously has far fewer consumers compared to Pop Music. As a comparison, the selling of 20,000 CDs of Serious Music is equal to the success of the selling of 1 million CDs of Pop Music. Within the Pop Music itself, Rock still dominates the market even though the numbers of its consumers are constantly declining. For the recording industry, music category doesn’t really matter, as long the musicians and their music have enough ‘followers’ to reach an economic production level and therefore can bring profit. It’s just like a printed book: the more copies one print, the cheaper the production cost for each piece. If we look at the various CDs and cassettes offered in many big retailers, all types of music, including the Serious one, are produced by different labels. One advantage of Serious Music compared to Pop Music is that the former has a longer lifespan than the latter. Besides, the selling of Serious Music is usually followed with music publication (such as music score) that is used for education purpose. More importantly, Serious Music is less prone to piracy; the percentage of pirated CD of this music in 2007 is not more than 5% in the whole world. This is why recording companies keep producing Serious Music. Marketing science dictates that every product has its market. The question is: where and how big? This is where live music plays its part because it can answer both questions. It is important for musicians to be aware of the size of the market potential for their music. If the market is still small, then they have to accept the fact. They also must realize that both Serious and Pop music have a fair chance of being successful or failing. Some of Pavarotti’s albums were sold between 1-2 million copies. On the other hand, there are many pop musicians failed flat in the market. Therefore, musicians should really understand what is at stake and the position they want to take: do they want to become the musician of musicians, a musician, or an entertainer. A music greatness is not measured by the selling. Serious musicians such as Stockhausen, John Cage or Miles Davis have become immortals because of their significant influence in music development. On the other hand, it is high time for the recording industry to learn and work on other segmentation more seriously, especially for creative, original materials that have their own roots so Indonesian music can speak with authority in the international level. They must move away from their comfort zone in importing and imitating Top 40 songs to secure their own future. It obviously takes a strong will and resilience, but it all would be worth it once Indonesian music stands strong in the world. [Jakarta, LTTW] As the mayor of Munich shout o zapft is! (the keg is tapped) in front of the enthusiastic crowd, Oktoberfest was therefore started with a mighty cheer. After a period of time, some may think that the essence of the famed Bavarian festival is to drink loads of beer into oblivion. If we look into the past, Oktoberfest did not start as a beer-drinking event. 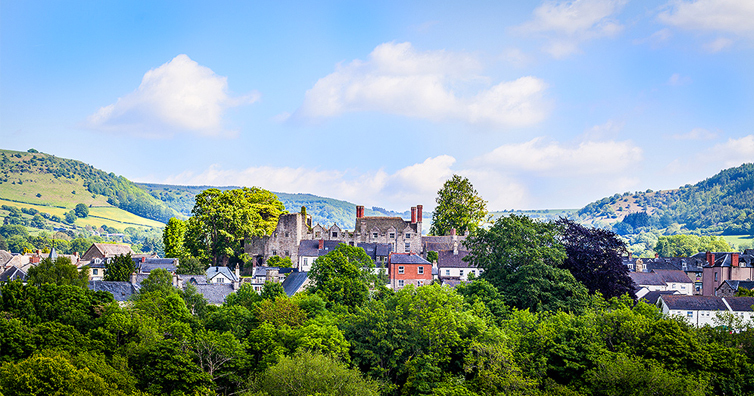 The festival can be traced to a wedding celebration taking place on 12th October 1810. 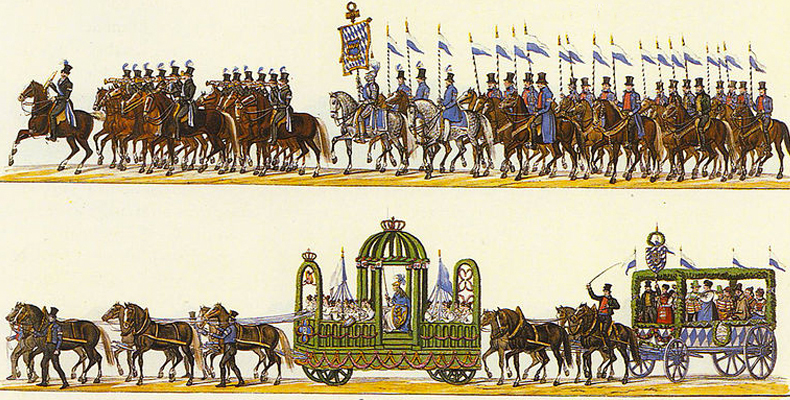 It was a glorious day when Crown Prince Ludwig was married to Princess Therese of Saxony-Hildburghausen, thus making him King Ludwig I of Munich. The field where the royal event was held was renamed into Theresienwiese —which the locals simplified as wiesn or meadow. Today, Bavarians celebrate the day with festivity. But it may be a surprise to some that the first Oktoberfest didn’t involve any beer at all. Yes, you read it right, no beer at all. Instead, the celebration was enlivened with horse races and a feast to honor the royal family, which marked the end of the festival on 17th October. A year later in 1811, the horse race remained in the event because of the success that it brought, making it the first tradition that was repeated for years to come. An additional show called Agricultural Show was held to encourage the Bavarian agriculture and economy. Both shows were the core of this largest volkfest or folk festival in Germany. The beer-drinking culture itself started in 1818, about 18 years after the first festival when beer pub owners participated by bringing in beverages. Since then, the original setting of the festival had ostensibly changed and made their way to become a mass drinking event. In 1938, the horse race was removed but it reportedly came to an end in 1960. Beer had beaten other traditions and become the superior symbol of Oktoberfest in the modern era. Nowadays, Oktoberfest in Munich lasts for 15 days, starting from the end of September to compromise with the weather. It is filled with food and beverages, attractions, entertainment, and of course, the Bavarian heritage that can be seen in plain sight. Beer of course is important as the beverage that represent the culture of Bavaria, but that doesn’t mean we could downplay Oktoberfest to just some beer-drinking festival. Oktoberfest should be a celebration of a nation, showcasing the proud Bavarian culture to the world that has lasted against the hourglass of time. And for the world, Oktoberfest could and should become a symbol to celebrate life. [Jakarta, LTTW] In 2007, world renowned Greek classical guitarist, Antigoni Goni, created The Volterra Project, Summer Guitar Institute in Volterra, Italy. This yearly summer school does more than just teach guitar techniques, but also educate young guitarists other fundamental components for musicianship. For its 2018 edition, Antigoni Goni was joined by guest lecturers English guitarist, Laura Snowden, and American guitarist, Stephen Robinson, in guitar master classes. According to its official website, Volterra Project’s mission is to help young guitarists develop well-rounded and non-competitive approaches to performing, foster a generation of accomplished young guitarists to prepare them for multiple aspects of performing careers, and to bring the guitar outside of traditional performance venues into places of community access. In the summer school, we can join guitar masters classes, seminars on music business management, and classes of music physiology (including luthier presentation) to re-discover the fundamental components of the guitarist; their own body and the music instrument itself. 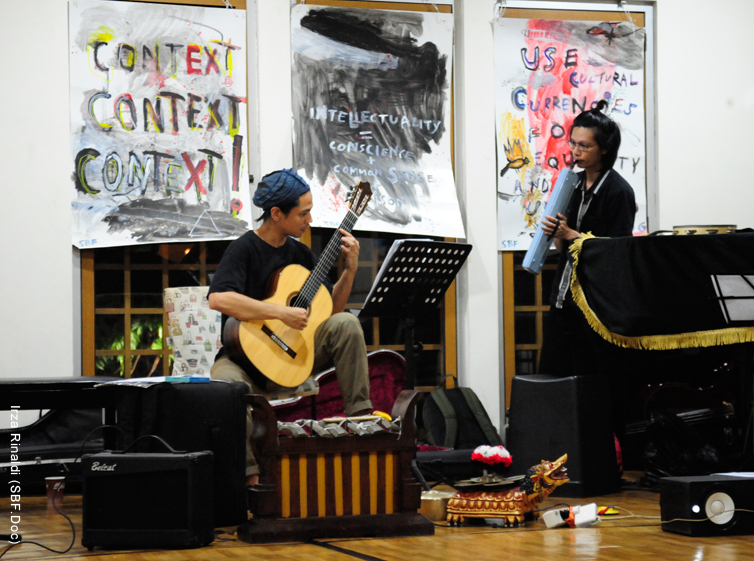 In a brief conversation with Listen to the World UK representative, guitarist Boo-boo Sianturi (who joined the program twice; in 2009 and 2012) said one of the music physiology lessons taught in Volterra Project is the Alexander Technique –– a methodical process that was created by Tasmanian actor Frederick Matthias Alexander (1869-1955) to change bad habitual patterns of movement and posture. 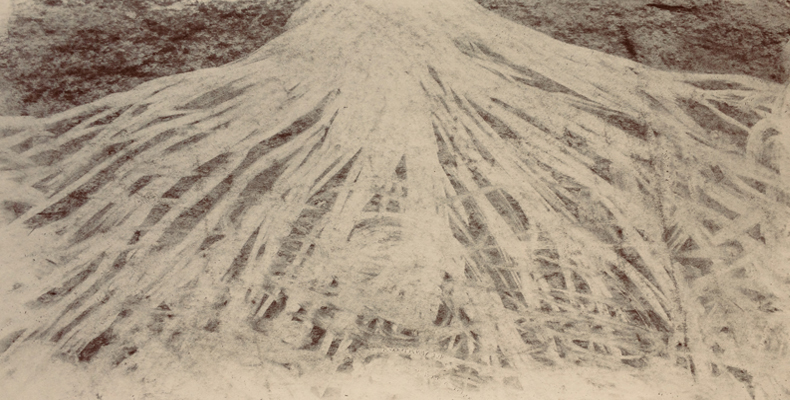 Dancer and choreographer, Clare Maxwell, puts it as the technique that “…give you a way to develop the stamina to be present, the stamina to have fun.” Boo-boo explained that the technique is a “scientified-Western-style of Tantra” because it focuses on the human spine; similar to the seven chakras . It seems the technique helps us to be aware of ourselves to maintain a healthy body, mind and soul. From actor, dancer, to guitarist; from arts, science, to conscience, Alexander technique really is fundamental. The project is held at Inghrami Farms, Volterra, Tuscany in Italy; a rustic complex and beautiful countryside that provides interactions for students and teachers over a 10-day stay. Because of the conservatory culture, classical musicians have a tendency to be more competitive. Here, Volterra Project’s aim is to steer away from this notion and provide environment where people can learn, exchange, and experience music with nature as its surrounding. 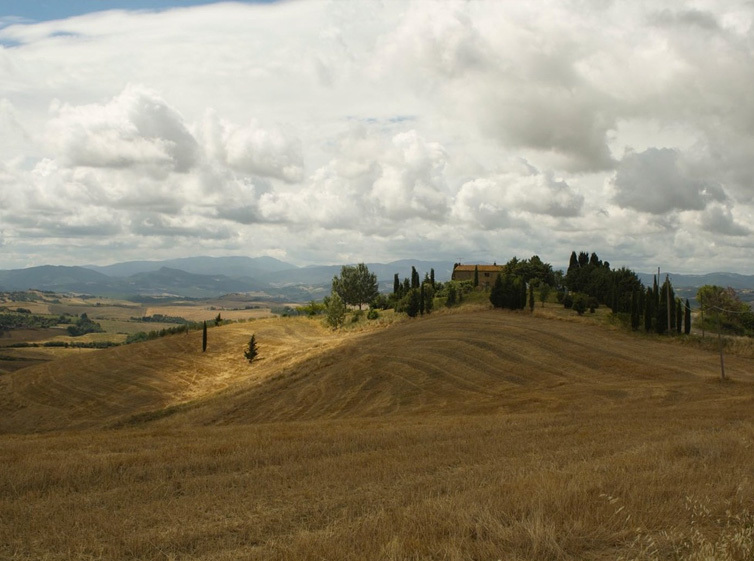 At the Inghrami Farms, guitars and those who wield it will harmonize with the nature of Tuscany. In 2018, up to 14 students stayed at peaceful apartments in Villa di Scornello and Podere San Piero next to the Volterra countryside. Some may be surprised when taking the instrument out of a building and play it in nature where the sun shine upon, clouds float right on top, and trees accompany them. 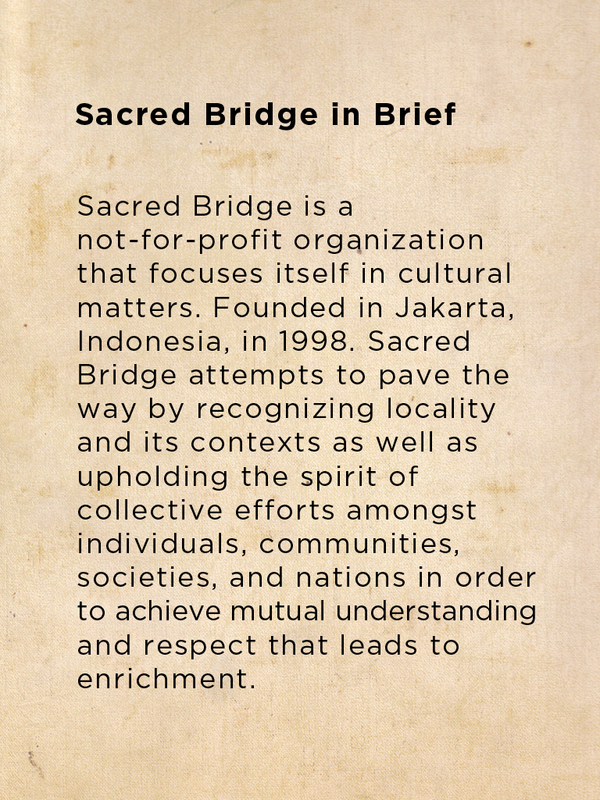 But for Sacred Bridge Foundation, it is necessary for music to re-discover the sacredness that once gave birth to music itself through the majesty of nature. 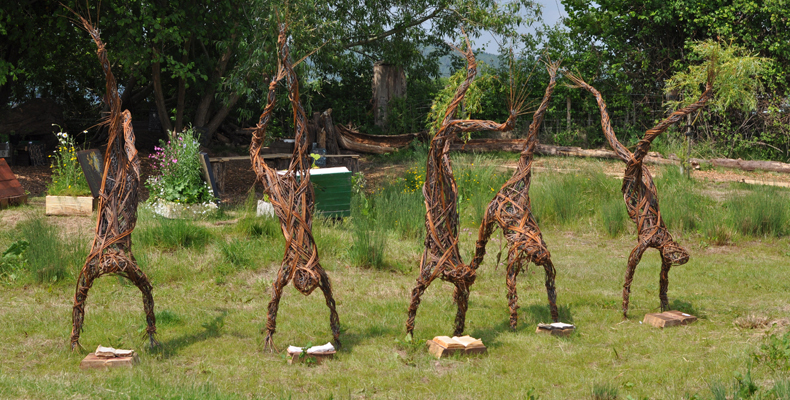 At the end, what Volterra Project offer to its student is a full experience that connects people with their own self — merging the body and mind as a part of nature. Utilizing guitar as an instrument that brings people into a spiritual journey, taking it further than just a musical education, altering them to be a better human being. Does playing and learning music in nature sounds strange? Or the other way around, how odd that today’s musician seem to distance themselves away from nature? Young guitarists! What are you waiting for?